In recreational combat, death is temporary and everyone gathers to share tales of glory around the feast hall or campfire afterward. 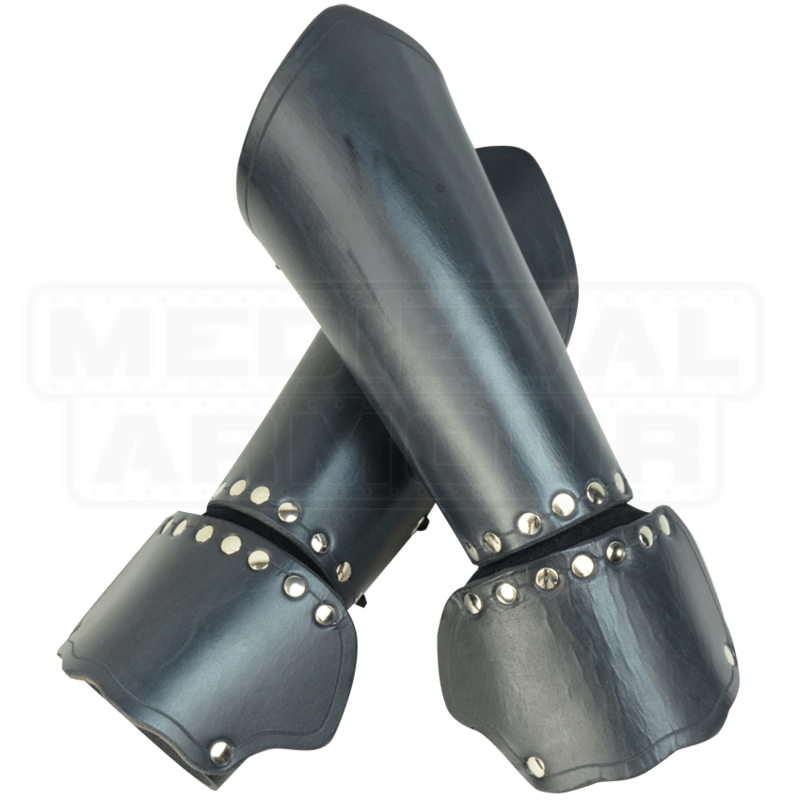 Protect your hands from damage with these Warriors Leather Demi-Gauntlets, suitable for SCA or LARP. Hand crafted in our shop from 13/15 ounce armour grade leather, these gauntlets are finished with steel or antique brass hardware. Laced with leather for a custom fit, the medium fits forearms up to 11 inches long and the large is designed for forearms 11 inches and longer. The attached hand guard is the same for each size. A flexible piece of suede connects the hand guard to the arm bracer, allowing for uninhibited movement. The hand guard stays in place with a black elastic band so that your knuckles are protected from crushing blows. 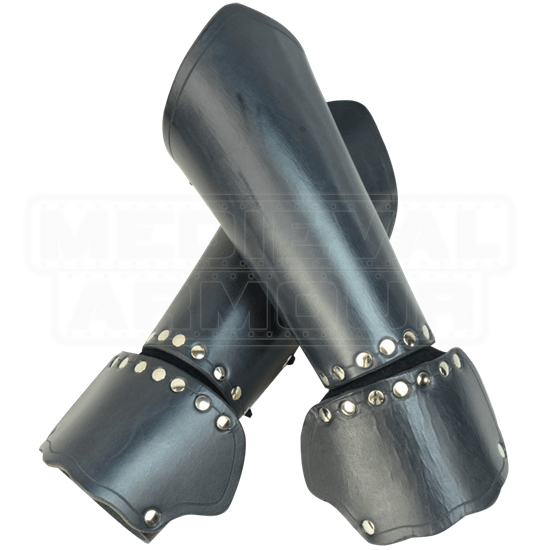 Available in black, brown, red, green, or blue, these Warriors Leather Demi-Gauntlets will complement your existing battle kit.